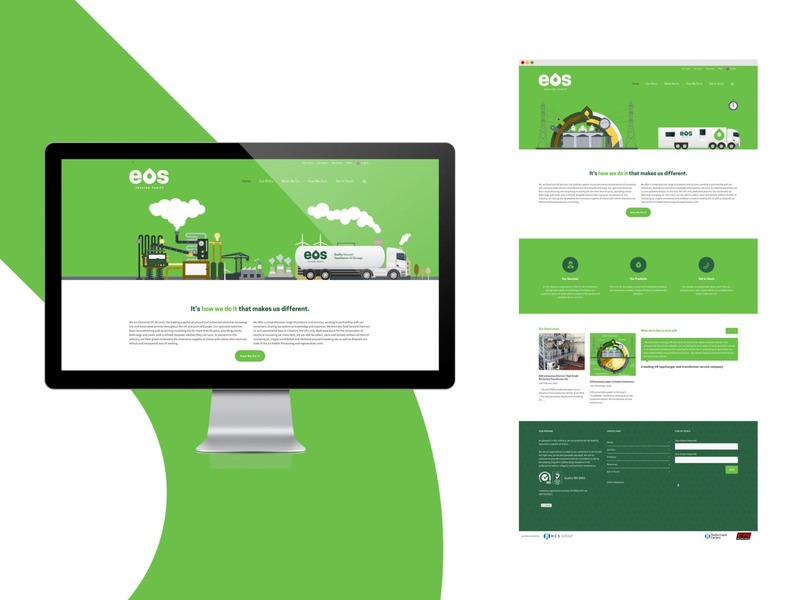 EOS is the UK’s leading supplier of recycled and unused electrical insulating oils and associated site services, based at Stanlow, near Ellesmere Port in Cheshire, from where they serve the whole of the UK. The Mackman team was commissioned to provide a strategic marketing plan for the company and the customer survey was the foundation to this project. The study was carried out to help EOS gain more insight into its current service levels, identifying strengths and weaknesses to help EOS implement changes to foster competitive advantage. In collaboration with EOS, Mackman Research designed a questionnaire on behalf of the company. The survey questions were in relation to EOS’s customer satisfaction provision but also asked questions about the perception of the company brand, competitors and use of the company website. Clients were invited by a letter from the Sales Manager of EOS to take part in the survey. EOS provided the customer contacts database which contained a mix of email and telephone information. Survey participation was either in the form of a telephone interview or an online survey. The telephone interviews lasted approximately six minutes with a Mackman researcher. Numerous attempts were made to book a convenient time to conduct the survey with as many contacts as possible in the five week calling period, and customers were sent email reminders to encourage them to take part and to notify them of the closing date of the customer satisfaction survey. Mackman Research analysed the data from the mixed collection survey and prepared a findings report with detailed recommendations based on the outcome. From EOS’s customer population, the research achieved a confidence level of 95% and a confidence interval of +/- 7.48%. It was clearly evident that EOS has a dedicated customer base who considers them to be the market leader for the supply of reclaimed insulating oil. The customer satisfaction results for EOS demonstrated first-rate levels of service for their industry sector and highlighted areas where further improvement can be made. The study has informed EOS about potential future developments for the business and provided competitor information. The information gathered was also used to inform a re-brand of EOS Ltd which includes logo and strapline design (case study to follow). If you think Mackman could help then we would love to hear from you. Please complete the form provided and a senior member of our team will get in touch. A branding and website project to better communicate the service offering of a leading steam and hot water system specialist. Following the initial benchmark NPS calculated in 2018, Herts FullStop commissioned Mackman Research to calculate a second customer NPS in 2019. Mackman conducted customer research for leading flue suppliers, Specflue, to help move their brand forward in an evolving marketplace. Find out more, here. Mackman worked with specialist patent and trade mark attorneys, Sandersons, to develop their branding and progress their marketing.